Sylvester Stallone teased Rambo 5 over the weekend on social media, and now some of the very first details about the plot and characters have been revealed. The sequel was first announced back in May of this year, and since then, we've seen a teaser poster and gotten small details given to us by Stallone. However, now that the casting process has officially begun, some brand-new details have surfaced, giving us our best look yet at what the film will be about. Rambo 5 is going to take place in Mexico, which had been previously reported, and it will see John Rambo teaming up with a journalist to go up against a gang of human traffickers who have kidnapped a group of local girls. It was previously thought that Rambo was going to take on a drug cartel after the daughter of his best friend was kidnapped. It's unclear if the daughter will be one of the girls that is kidnapped in the new story. John Rambo will start the film by living in Arizona on a ranch after spending decades out of the country. The synopsis reads. 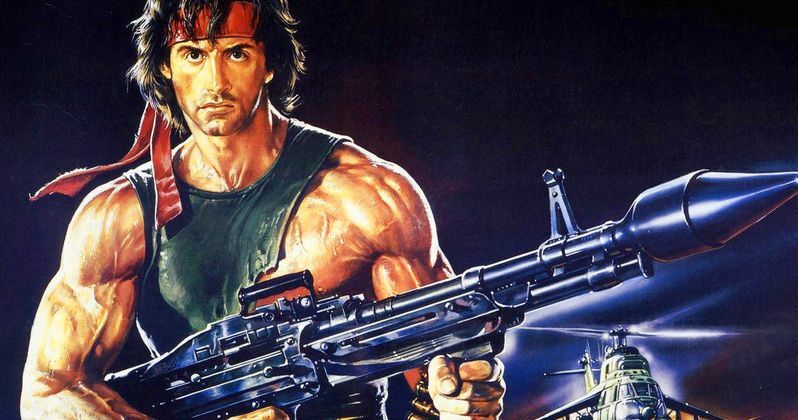 Casting videos have leaked online, providing some extra information about the story of Rambo 5. The first new character is Robert Siedel, who is an American that plays a role in the human trafficking operation. Siedel is later kidnapped by John Rambo as he tries to get information about the missing girls. The casting also notes that the girls have been taken on to a submarine. Two other characters named Hugo and Victor are in the mix as well. Hugo is a "perverted thug," while Victor is a professional human trafficker. There's also the Gabrielle character as well, but there is no information about her place in the film at this time. Sylvester Stallone recently wrapped production on Creed 2, which hits theaters this coming November. It's believed that Rambo 5 will begin shooting in Bulgaria on September 1st and then move to the Spanish Canary Islands. It is unknown if the film will shoot stateside at this time. If shooting begins as planned, Stallone should be done in time to promote Creed 2, or at the very least, take a break from shooting the Rambo sequel. Rambo 5 teaser posters that were released in May of this year say that the sequel will hit theaters in the fall of 2019, which has yet to be confirmed. With the success of Creed, Sylvester Stallone is hoping to revamp the Rambo franchise like he did with the Rocky franchise. The action star has been on a role lately, so hopefully fans will embrace John Rambo's new adventure. This report was first revealed by Geeks Worldwide.